Police in Mexico have long failed to inspire trust. The vast majority of crimes are never solved. Often, a signed confession is enough to put somebody in jail, even if the evidence is sketchy. But with U.S. assistance, Mexico has been attempting to improve its judicial system — and the northern state of Chihuahua, which borders Texas and New Mexico, is considered one of the pioneers. On the Friday night before Christmas, a team of forensic cops in Chihuahua city, the state capital, jumped in a police truck and drove toward a crime scene. The driver, Freddy Lopez, sped through traffic flashing his brights. He made a stop at a Days Inn near the historic city center to fetch the on-call anthropologist, who happened to be at holiday party. The anthropologist climbed aboard the truck wearing a two-piece suit and a morose expression. "We know there's a dead body when we gotta bring this guy," Lopez said. Back on the road, they headed south toward a hillside barrio packed tightly with multicolored homes. At an abandoned house, the team was briefed by the lead officer with the state homicide unit. Indeed there was a body. It was stuffed in a refrigerator, buried in the dirt floor of the house. Police suspected a serial killer at work. It was the third body they'd found in less than a month bearing similar wounds. A protected witness tipped them off to this particular spot. The forensics team zipped themselves into marshmallow-like body suits and pulled on latex gloves. Inside the house, they covered the victim's hands in plastic bags to protect any biological matter under his nails. They bagged nearby beer cans and cigarette butts and photographed everything. Outside, officers made sure the cordoned-off scene stayed secure. Even this basic police work is something to marvel at in Mexico, where a recent study by the Inter-American Commission on Human Rights found that 98 percent of crimes "fail to result [in] convictions." Judicial reform, which started in 2008, is meant to attack Mexico's high rate of impunity. "The fundamental feature of Mexico's new criminal justice system is that it inserts accountability into the process," says David Shirk, an expert in Mexican criminal justice at the Wilson Center in Washington, D.C. "It allows the state's evidence to be questioned and challenged. It means that police have to do their job well." Under the new system, the accused has more rights and is presumed innocent until the state can prove his or her guilt before a judge. "These reforms are going to be the key to making it clear that the work has to be done, otherwise criminals are going to walk free," Shirk says. The U.S. has poured millions into this reform effort via the Merida Initiative. Most of the money has gone to train Mexican judges, prosecutors and defense attorneys. A smaller amount has gone to train police, a critical part of reform that's far behind schedule. Mexico's congress approved a constitutional amendment mandating judicial reform in 2008. They set a deadline of June 2016 for full implementation. All states are currently operating under the new judicial system, but some are further along than others. Still, Mexican police have a major perception problem to combat. "When we think of police in Mexico we think of human rights violations and tortured confessions," says Claudia Rodriguez, a former prosecutor and now director of Chihuahua's state police academy. "Our job is to replace that image with one of a well-trained, professional cop." The academy mandates courses on human rights for its cadets, some with a special focus on women and the LGBT community. They're working on perfecting basic skills, such as shooting a gun and handcuffing a suspect. Cadets are also trained on how to take the evidence they gather in the field and present it in court — something they weren't expected to do before. 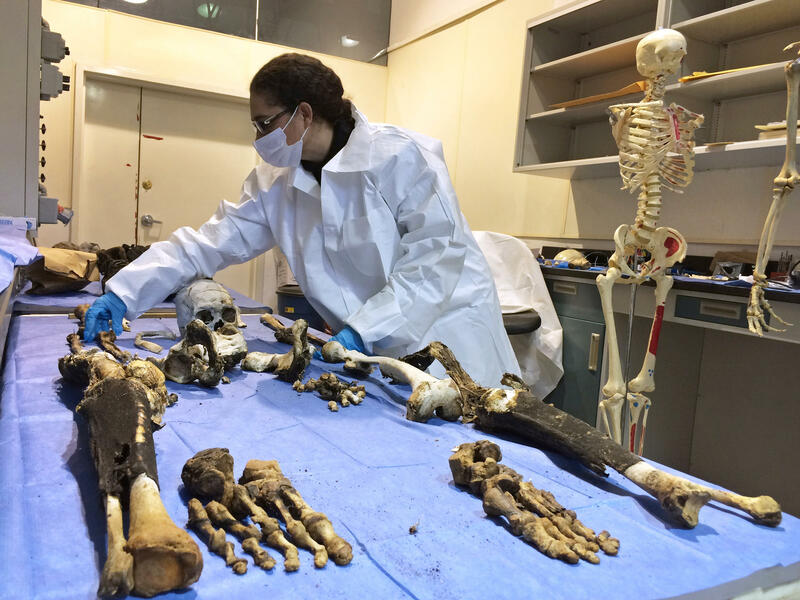 "The work we do makes a big difference in whether an innocent person ends up in jail or a guilty person goes free," says forensics officer Miguel Wilchis de la Vega, who has attended training in the U.S. It helps that they have the right tools. Wilchis de la Vega says technicians in the morgue used to cut open cadavers with steak knives and handsaws; now they have specialized instruments. Chihuahua now has two in-state DNA identification labs, whereas 15 years ago it had none. Working cops also have the chance to go back to school and get a college degree. "The change is enormous," Rodriguez says. "It fills me with pride now to see an officer defend himself in court, able to stand by his work and show he has nothing to hide." The pride that comes with a job well done is palpable among the officers interviewed for this story. It's a pride that experts like Shirk say will make them less likely to succumb to corruption from political pressure or organized crime — a serious problem that continues to plague the Mexican justice system. "We have to keep in mind that this is a long-term game," said Shirk. "It will be at least another decade, maybe two decades, before we see some of its effects fully come to bloom." Aaron Ramos, a state police commander in Chihuahua who's survived two attempts on his life, agrees there's hope in the next generation. "What gives me the greatest pride," he says, "is when my 9-year-old son asks me to visit his school wearing my police uniform." Copyright 2017 KJZZ-FM. To see more, visit KJZZ-FM. Eight years ago, Mexico began an ambitious plan to overhaul its corrupt and outdated criminal justice system with considerable help from U.S. taxpayers. Today, in some states in Mexico once closed-door proceedings have been opened to the public. Judges have been taught the importance of evidence. Lawyers have learned to cross-examine witnesses and to yell objection. But KJZZ's Monica Ortiz Uribe reports that the police are key to these reforms succeeding. MONICA URIBE, BYLINE: It's a Friday night in the northern Mexican city of Chihuahua, and a team of forensic police have just arrived at a crime scene. There's a body inside a deserted home. It's stuffed in a refrigerator that's buried in the dirt floor. Police suspect a serial killer. It's the third body they find in less than a month under similar circumstances. 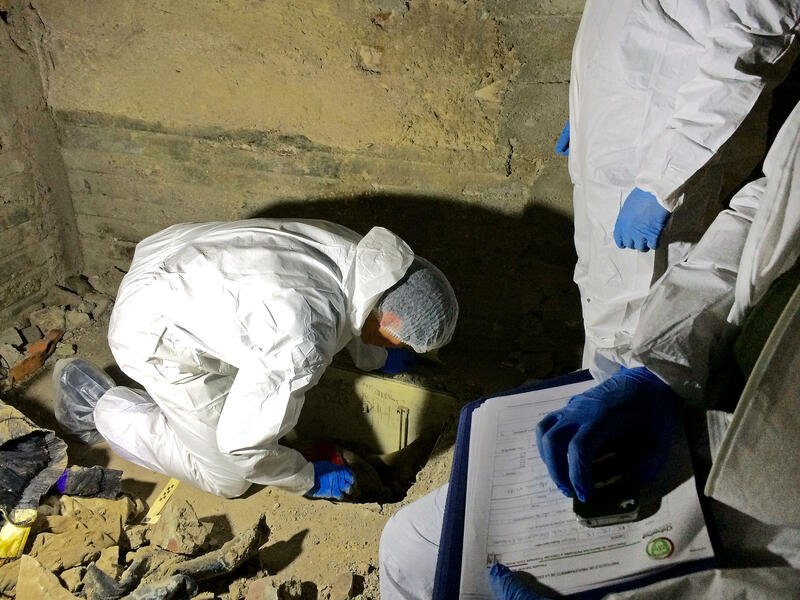 The forensics team zips themselves into marshmallow-like bodysuits and pull on latex gloves. Inside the house, they cover the victim's hands in plastic to protect any biological matter under his nails. They bag nearby beer cans and cigarette butts, and photograph everything. Outside, officers make sure the cordoned-off scene stays secure. Even this basic police work is something to marvel at in Mexico, where studies indicate 98 percent of crimes go unsolved. David Shirk is an expert in Mexican criminal justice. DAVID SHIRK: The fundamental feature of Mexico's new criminal justice system is that it inserts accountability into the process that allows the state's evidence to be questioned and challenged. It means that police have to do their job well. ORTIZ URIBE: In the past, a signed confession was enough to end an investigation and put somebody in jail. If it even existed, scientific evidence was just a bonus. Under the new system, the accused has more rights and is presumed innocent until the state can prove his or her guilt before a judge. SHIRK: These reforms are going to be the key to making it clear that that work has to be done. Otherwise, criminals are going to walk free. ORTIZ URIBE: The U.S. has poured millions in federal tax dollars into this effort. Most of the money has gone to train Mexican judges, prosecutors and defense attorneys. A smaller amount has gone to train police, a critical part of the reform that's far behind schedule. That's evident in high-profile cases like the 2014 disappearance of 43 students in southern Mexico. International experts blasted Mexican authorities in April, saying they'd grossly mismanaged the case. But in Chihuahua, police are making progress. It was one of the first states to adopt judicial reform. Its police have been to trainings in U.S. cities like Santa Fe, El Paso and Chicago. 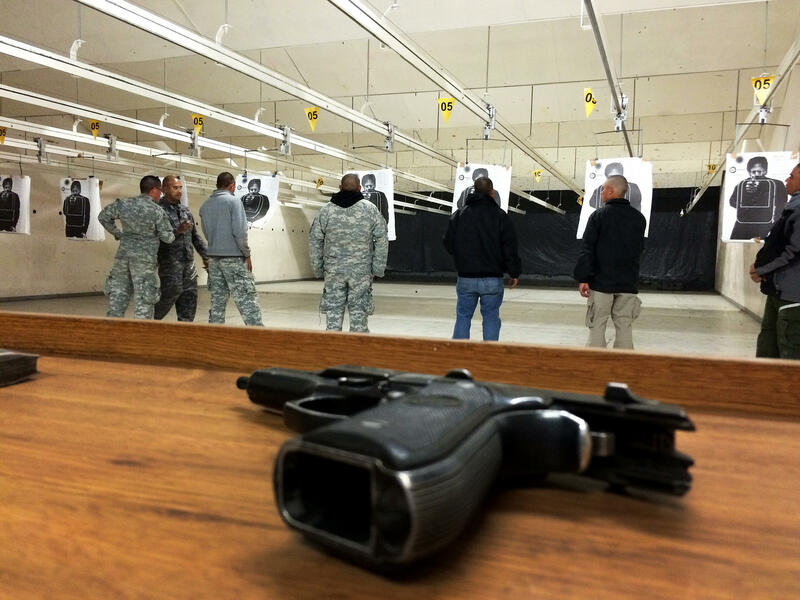 ORTIZ URIBE: At the state police academy in Chihuahua city, cadets aim their handguns at a silhouette printed on paper and wait for their instructor's signal. ORTIZ URIBE: During their six-month training, they work to perfect basic skills like shooting a gun and handcuffing a suspect. Claudia Rodriguez, a former prosecutor, is now the director of the academy. CLAUDIA RODRIGUEZ: (Through interpreter) When we think of police in Mexico, we think of human rights violations and tortured confessions. Our job is to replace that image with one of a well-trained, professional cop. ORTIZ URIBE: She says the academy now mandates courses on human rights for its cadets with a special focus on women and the LGBT community. RODRIGUEZ: (Through interpreter) The change is enormous. It fills me with pride now to see an officer defend himself in court, able to stand by his work and show he has nothing to hide. ORTIZ URIBE: Experts like David Shirk say that pride can make officers less vulnerable to political pressure or organized crime, both serious problems that continue to inhibit justice in Mexico. Still, it could take decades before judicial reform fully matures. Aaron Ramos, a state police commander in Chihuahua, believes there's hope in the next generation. ORTIZ URIBE: "What gives me the greatest pride," he says, "is when my 9-year-old son asks me to visit his school wearing my police uniform." For NPR News, I'm Monica Ortiz Uribe. Transcript provided by NPR, Copyright NPR.